I’ve just returned from a trip to Ottawa. 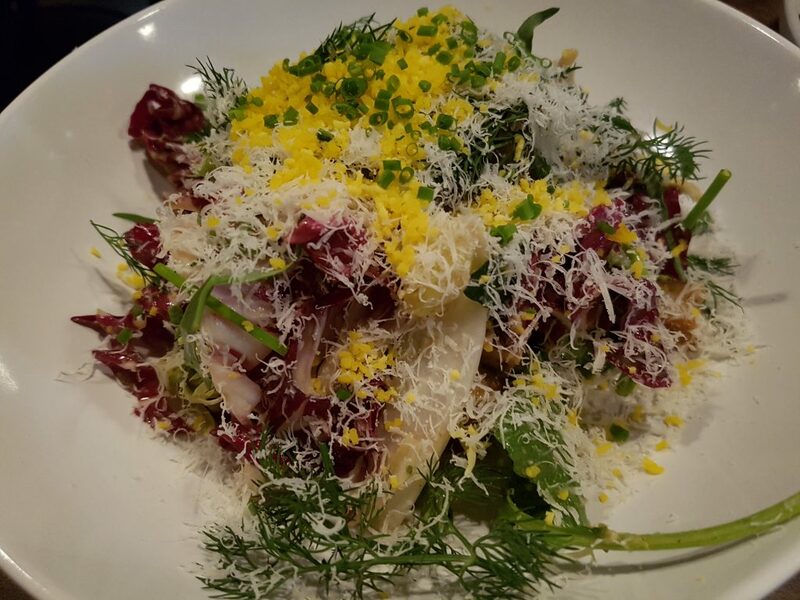 I hadn’t been there for a little over 4 months so I was a bit out touch with the foods scene, but not for long as I posted on facebook: “Where should I eat?” and as always my foodie friends in Ottawa were happy to help. 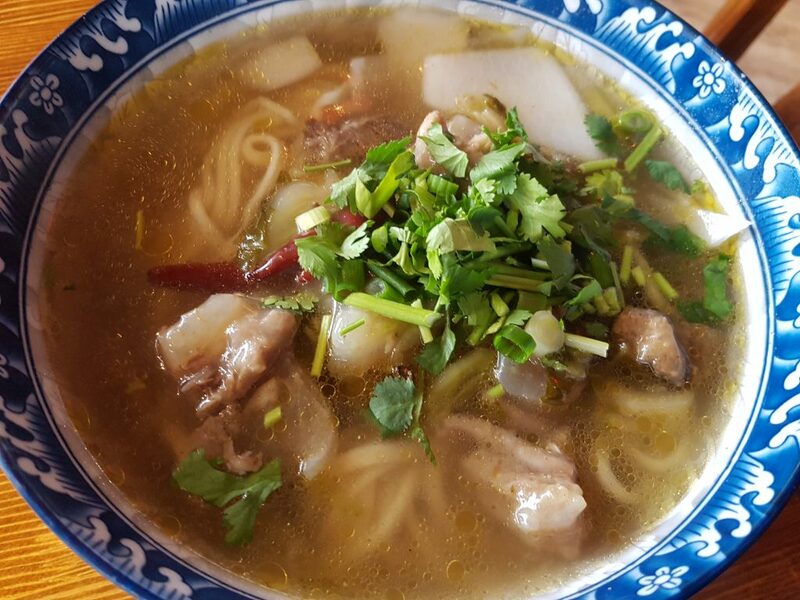 Datsun (380 Elgin St) – This is a new trendy restaurant on Elgin St and is owned by the same owners as El Camino. It’s one busy restaurant …even at 10 pm. We ordered two dishes and both were incredibly flavourful. Next time, I need to go with a larger group so I can try more dishes. 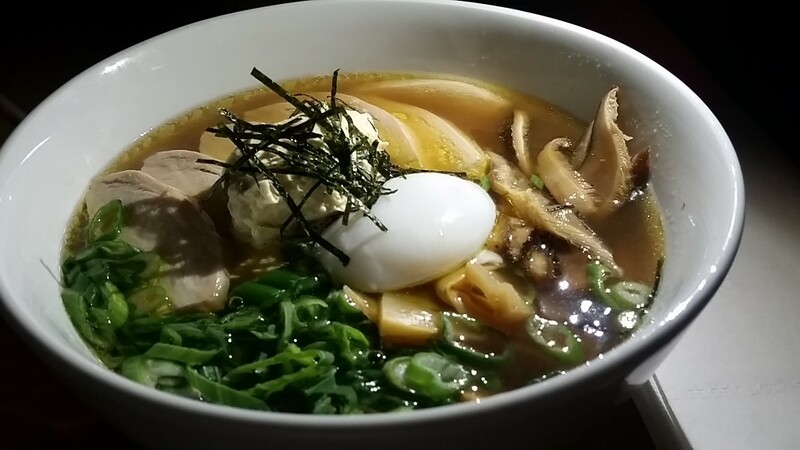 We started off with this most satisfying bowl of ramen. 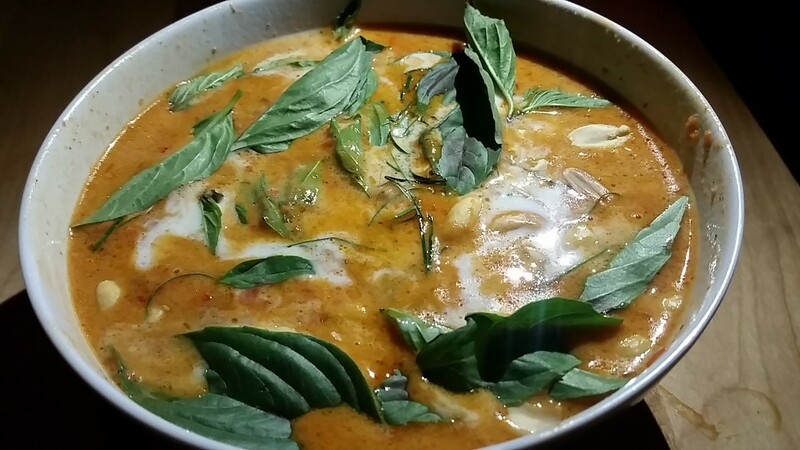 Then we moved on and had this Braised Beef Panang Curry with Roasted Peanuts and Lime Leaf dish.. Yummy. Yummy. Yummy. 2. 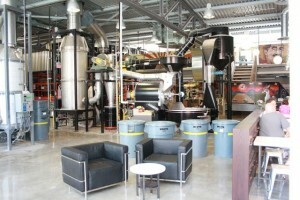 Aroma Espresso bar – This a popular coffee chain in Toronto, New York and Israel now has a location in Ottawa. 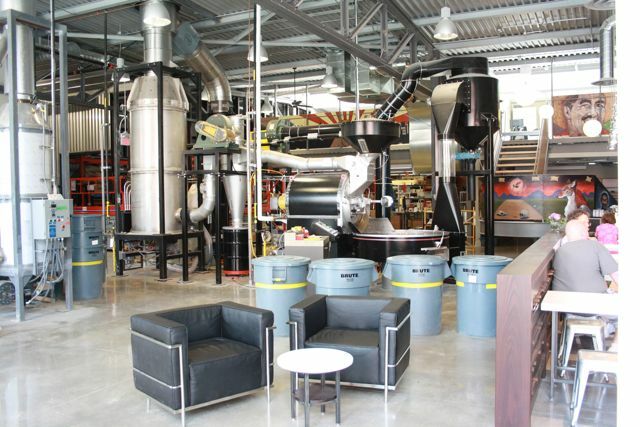 It’s located at Landsdowne Park (300 Marche Way – #109) which has been developed into quite a bustling part of town. What did I order? 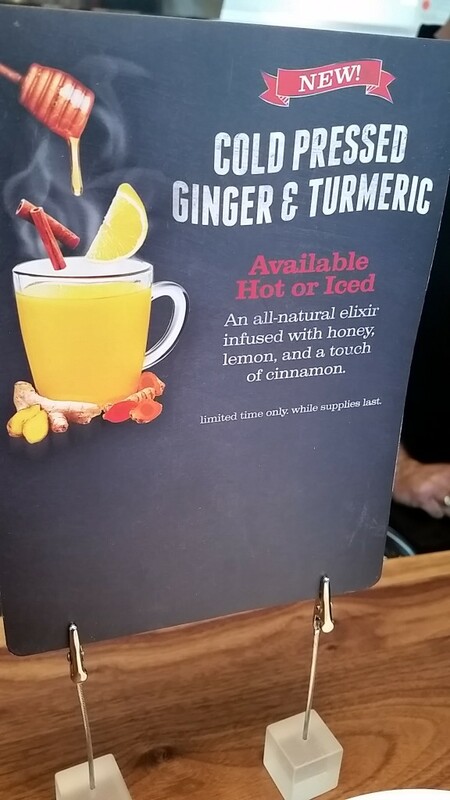 I tried the new cold pressed ginger and tumeric drink. This beverage (which is available hot or cold) hit the spot and was a great alternative to (another) cup of coffee. 3. Urban Juice Press (340 Parkdale Unit B Entrance on, Spencer) I had just purchased beer at Beyond the Pale and as we were turning the corner saw a sign and parked the car again. 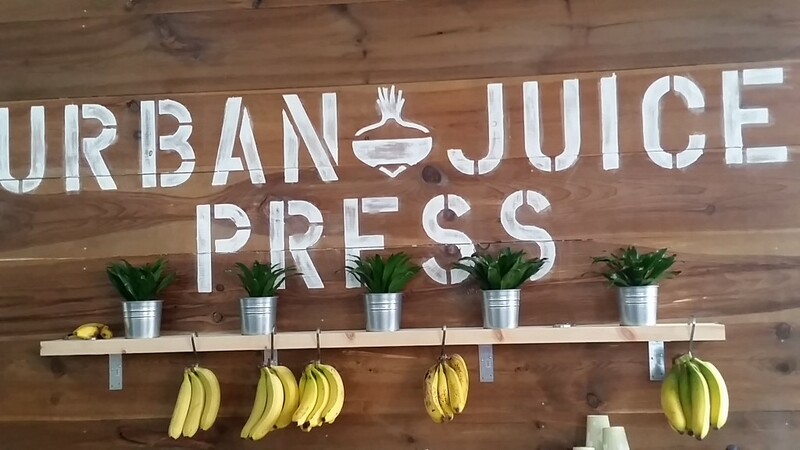 Loved the space and the organic juice that we purchased. These cold pressed juices can be the perfect pick me up in the middle of the day! 4. 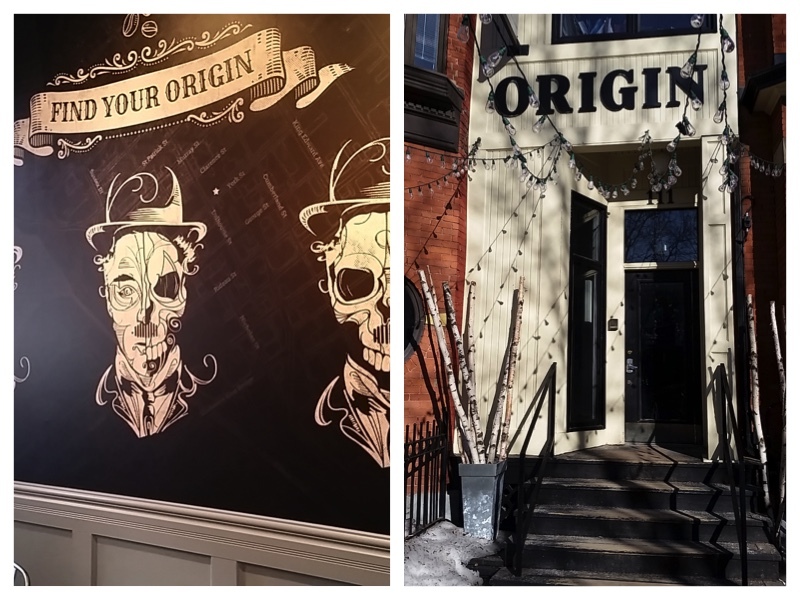 Origin Trade Inc. (111 York St) – This new coffee/lounge blew me away. Someone really put some thought into decorating the space. Plus my coffee can best be described as “smooth” with no bitterness whatsoever. 2. 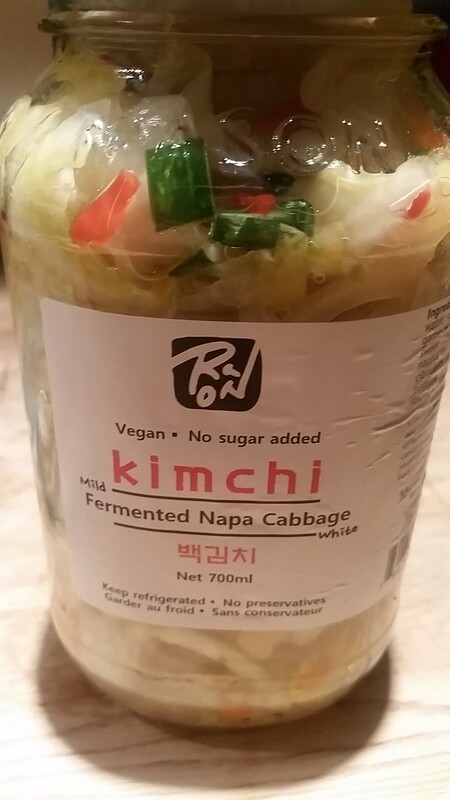 This local kimchi that I purchased at the Ottawa Farmers Market. 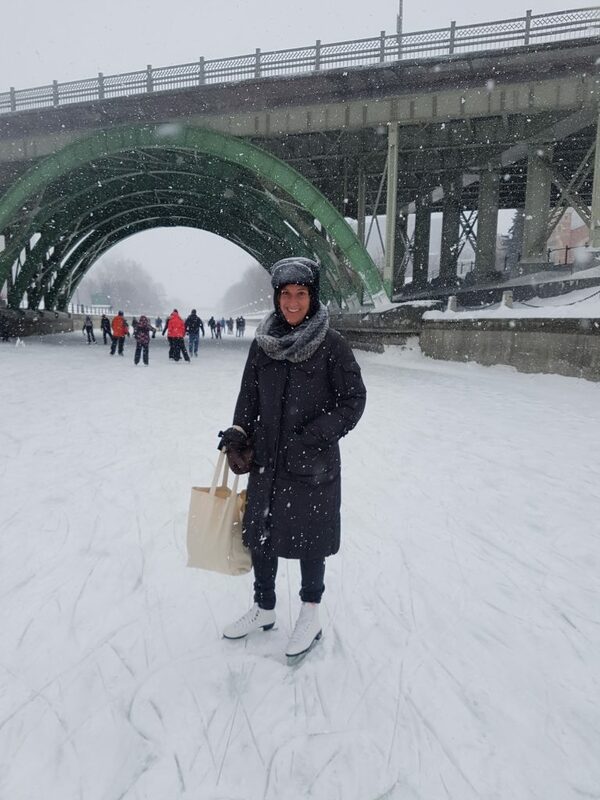 But besides eating my way thru Ottawa, the real reason I went to Ottawa was to celebrate my friends 50th birthday and to hang out with my mom. I’m so lucky to have both of these women in my lives. As always, I love visiting Ottawa. Hoping to return in May for the Tulip Festival and to discover more great food. 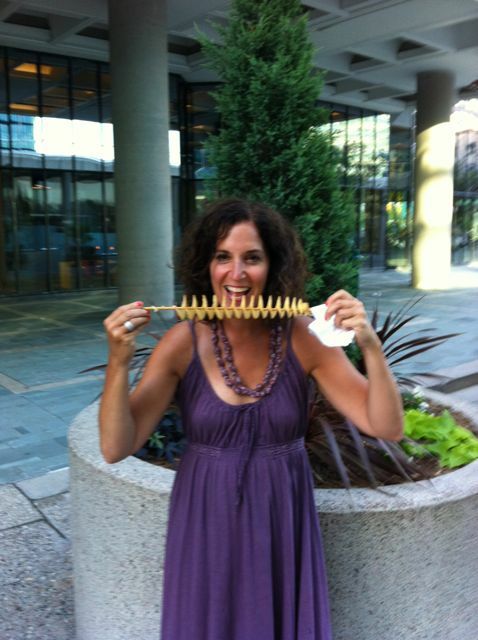 Eating My Way Thru Ottawa…..Again. As always I have just returned from another trip to Ottawa. As you know, I visit regularly (every 6 weeks) and on each trip I discover something new that delights my taste buds (and sadly my waistline too). 1. 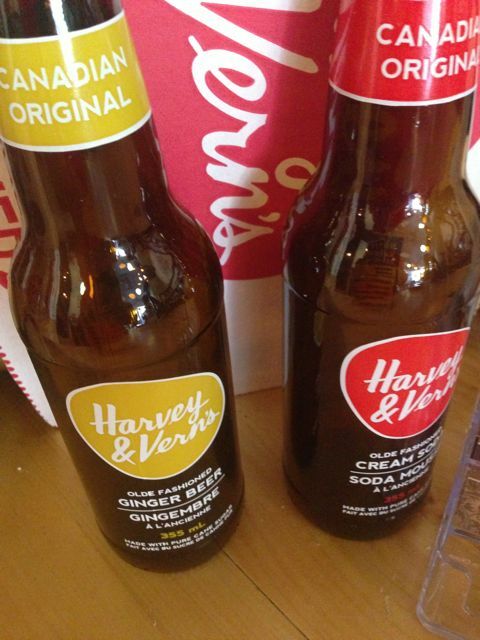 Harvey and Vern’s Ginger Beer. 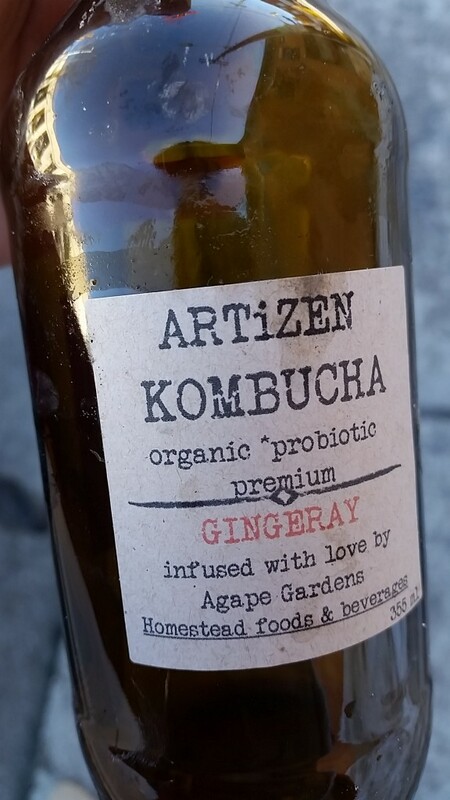 Hands down the best ginger beer I’ve ever had. Sadly I only bought one bottle. WHAT WAS I THINKING (please don’t answer!!). Next time I’m picking up a half dozen bottles. Seriously. 2. 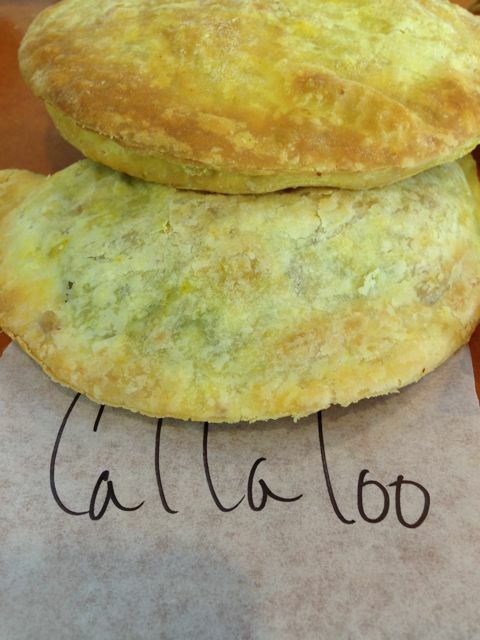 Callaloo Jamaican Patty from The Piggy Market: (400 Winston Ave, Ottawa) I love something interesting and this was indeed something interesting!! The pastry was perfect and the filling was flavorful too. So glad I dropped by this amazing store. 3. Hummingbird Chocolate has joined forces with Michaels Dolce Candied Ginger ….to make the perfect chocolate bar. It was introduced to the public at the Ottawa Farmers Market on Sunday Aug 4th and I’m confident that others will also give it a THUMBS UP!! 4. 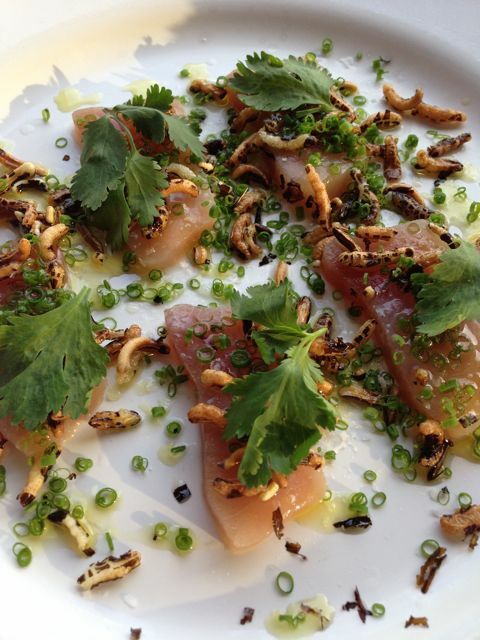 Albacore Tuna Crudo with Lemon Truffle Oil, Puffed Rice and Young Cilantro from Supply and Demand (1335 Wellingston St. W. Ottawa) Many thanks to @simplyfresh for tweeting me about this dish. Can you say “heaven?”. 5. 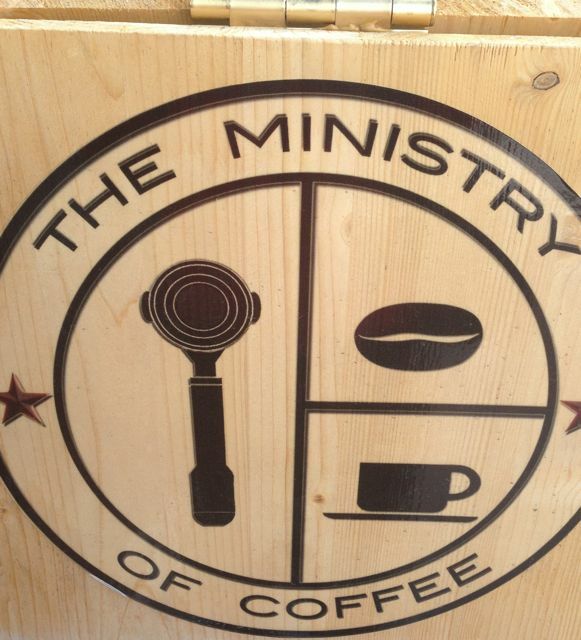 Ministry of Coffee. Again, many thanks to @AMWATERS for tweeting me about this brand new cafe that opened up on Elgin St. I enjoyed a wonderful “Cortado” which is a shot of espresso with both cream and milk. Will definitely be returning for more!! 6. 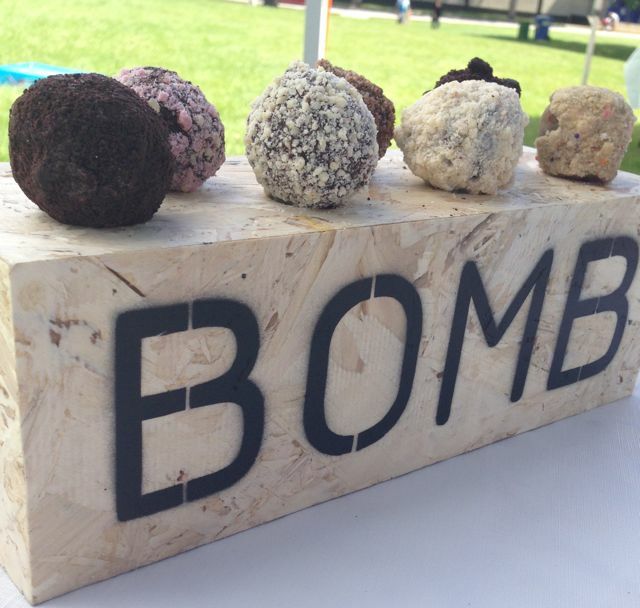 Bombs from It’s a Matter of Cake (Ottawa Farmer’s Market) These are not cake pops. Not even close. They are simply dense and delicious. My mom bought a bag of 6: Chocolate Peanut Butter, The Split, Oatmeal Nutella, Maple Carrots, Smokey Bacon, and the Dark Horse. When we got home…the knife came out and we started to split each one in half. Then we started saying words like: “ohhhhh” and “ahhhh” and “freaking h” and “unfreakin believable”. Clearly we loved each and every bomb!! Can you tell I had another amazing trip to Ottawa? I’m already looking forward to my next trip in September!! Hey Ottawa – You Make My Tummy So Happy!! Had another quick visit to Ottawa so I could celebrate Father’s Day with my amazing Dad. I arrived on Friday at 6:30 pm and left on Sunday at noon. However this still gave me enough time to devour these goodies! 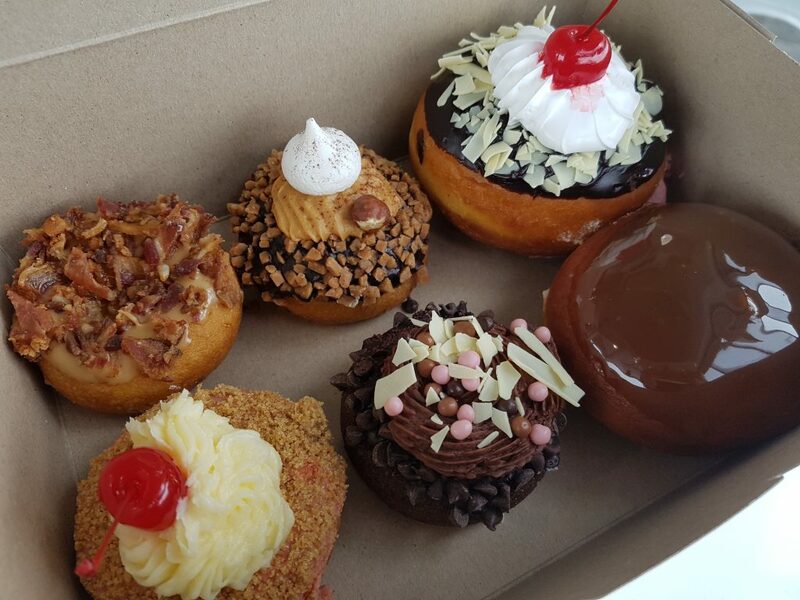 a) CHOCO FRITO Doughnuts from SuzyQ Doughnuts (991 Wellington St. W). 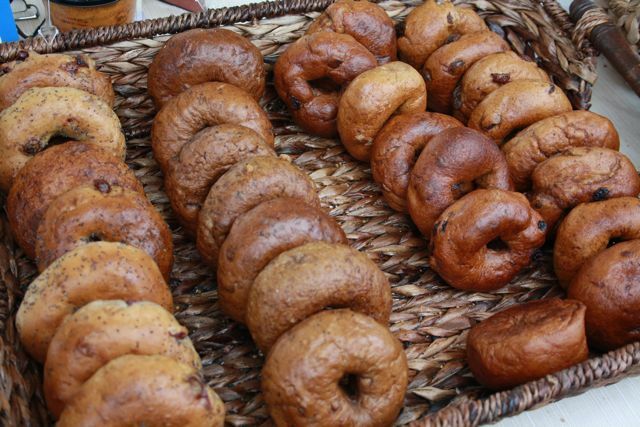 There are no words to describe these doughnuts. They are THAT good. 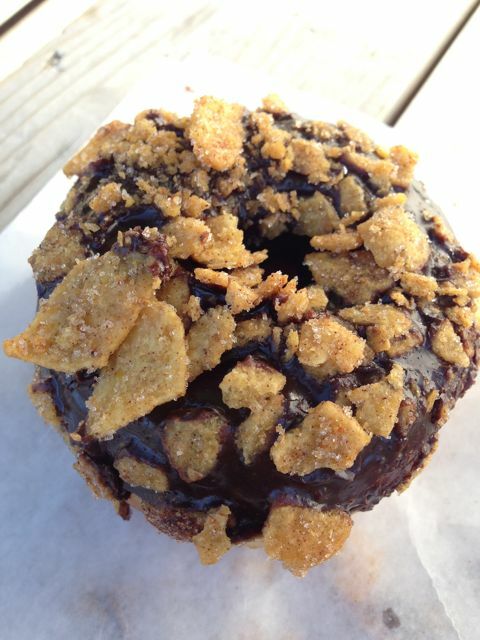 Just imagine the salty, crunchy, pieces of Frito Lay with just the right amount of chocolate, on top of a yeasty delicious doughnut. It’s a FREAKIN’ AWESOME combo. PERIOD. b) Golden Palace Eggrolls (2195 Carling Aveune). 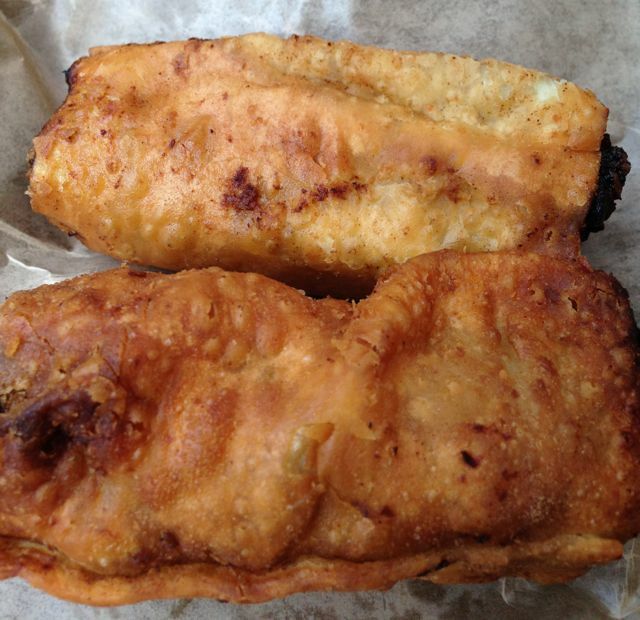 These eggrolls are unique to Ottawa – they have burnt ends and full of pork and cabbage (not bean sprouts). 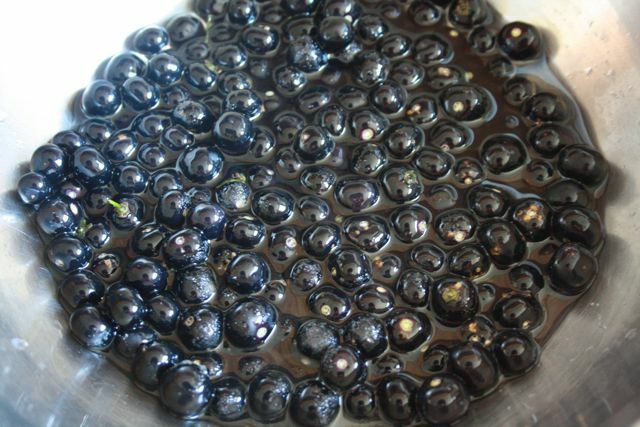 I love dipping them into the hot mustard and the plum sauce. The restaurant itself is totally out of a time warp but the eggrolls are simply epic. PS many people I know take these eggrolls back to Toronto and freeze them. 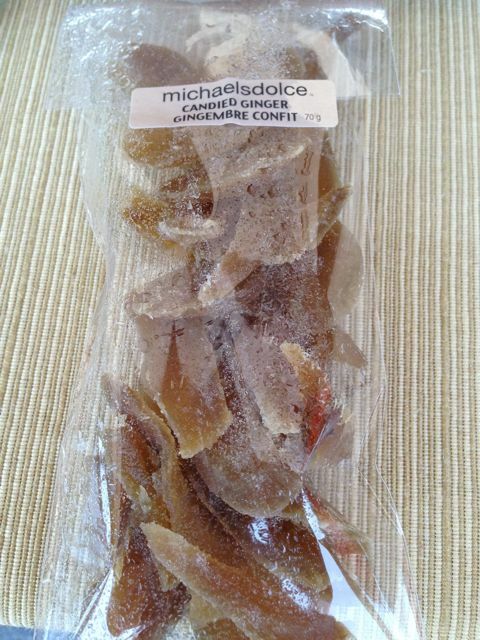 c) Candied Ginger from Michaels Dolce; (Ottawa Farmers Market). This ginger was so good that I noshed on half the packet on my way back to Toronto. I can’t stop thinking how I would like to make an apple crisp and cut these strips into smaller pieces so I could incorporate it into the recipe. I will bringing back 3 of these packets next time. One packet is NOT enough. P.S. his jams rock as well. 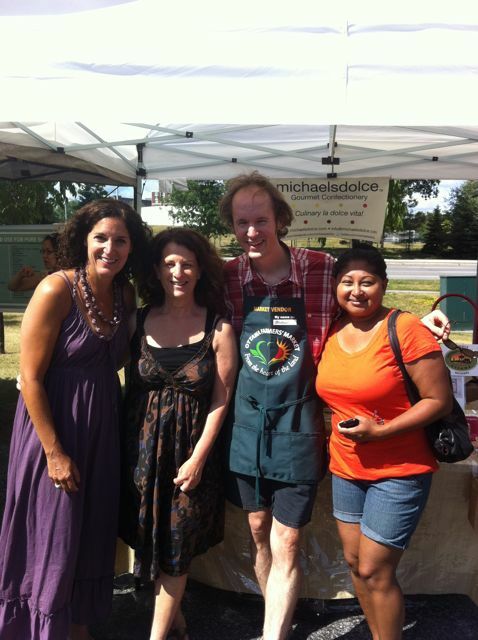 I encourage you to check out his website to learn more about Michaels Dolce products and where you can buy them. d) Maple Syrup Cones (Byward Market). I did not buy one of these .75 cones on this particular trip..but I really did want to!! I have such fond memories of these cones from my childhood. Have you ever had one? On this particular occasion my tummy was not happy but my eyes were!! 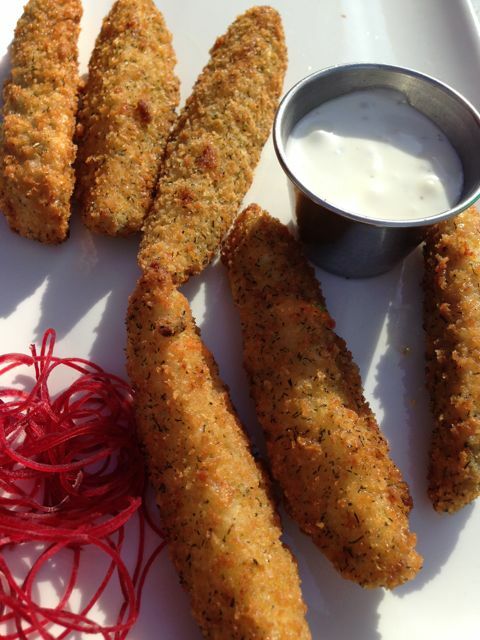 e) Deep Fried Pickles and Beer from the Big Rig Brewery and Restaurant (2750 Inis St.). I’ve always wanted to try this restaurant and finally I got there!! YAY. The beer scene in Ottawa has really exploded so I was all too happy to check out these deep friend pickles and a flight of beer, on a gorgeous Saturday evening. When I returned from Toronto, I made a huge Kale Salad. I try to lead a balanced life. Can you tell? In the past, I’ve made crisps, crumbles and cobblers. 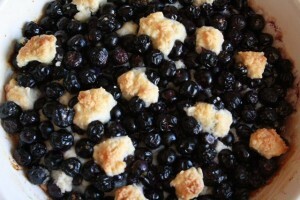 Now I can add “BUCKLE” to that list as I just made my very first Huckleberry Buckle. 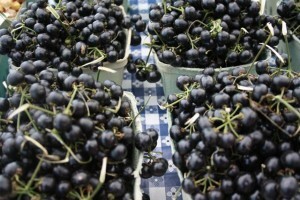 That’s right,…I used the huckleberries that I picked up at the Ottawa Farmers’ Market. There is a probably a reason why you don’t see this fruit very often. After a lot of research on the internet, I selected a recipe from AllRecipes.com. 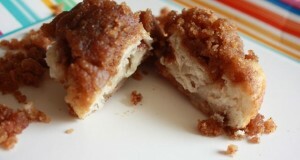 I am not going to tell you that this recipe was a winner, infact the final result was HORRIFIC.!! I actually spit out the huckleberry and so did others. Trust me…I like almost everything. It’s hard for me to remember the last time I spit out food. But this FRUIT is not very likeable. It’s not sour, i’ts not sweet., it’s just FOUL. The buckle was a hit though. I would certainly use this recipe again but would use raspberries or blueberries instead. 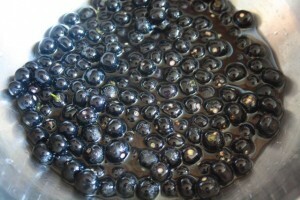 Place the huckleberries in a bowl and add the boiling water and sugar. (I then drained it after 10 minutes due to a readers comment on allrecipes). Grab another bowl, and mix the flour, baking powder and salt. Grab yet one more bowl and cream the butter and sugar. 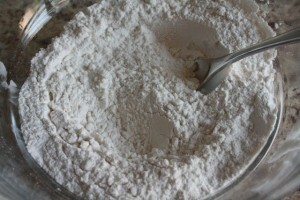 Take the flour mixture and add it to the butter/sugar mixture. Then stir in the milk. The mixture will be thick and lumpy. Bake in a preheated oven for 45-50 minutes. I read another comment that suggested to place a pan underneath your pie plate in the event that it bubbles over. Great advice. Oh how I love comments that are posted on the internet. 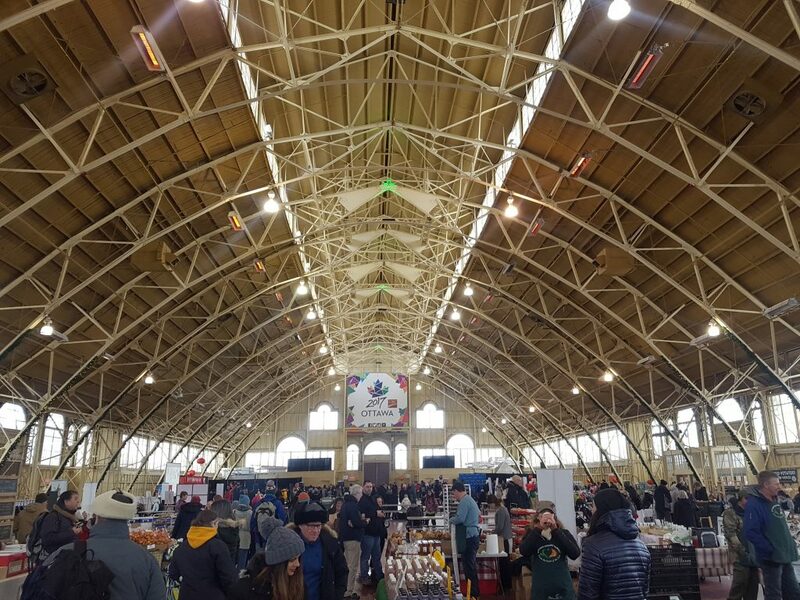 I can’t seem to visit Ottawa without visiting the Ottawa Farmer’s Market and discovering new products. 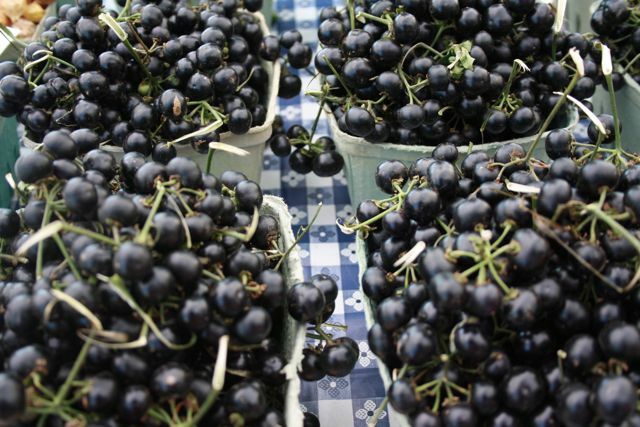 Product #1: Huckleberry: I don’t know about you but I’ve never seen it or heard of it. All I know is that I had to buy it. I also know that I need a recipe. If anyone can help me out, please let me know. I’m sure there will be a future blog post about what I make with them. Warning you now! 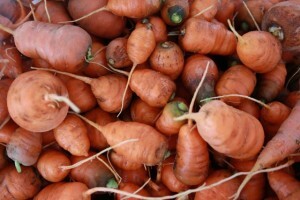 Product #2: Carrots. These little gems came from the Perth Farmers Market. I didn’t see them in Ottawa but had to include them in this post. I was told that this variety are grown in window sills in Paris. Can anyone verify that this is true? I couldn’t resist buying them. Product #3: Lemon Cucumbers. At 50 cents a cucumber, I had to buy these too. No – they don’t taste like lemons. 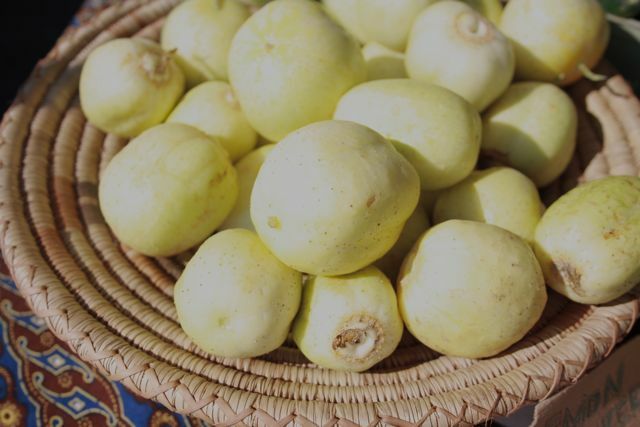 Yes – they do taste different than an english cucumber. I not only bought them last week but returned the following week to buy them again. This will be a nice addition to my salad this week. 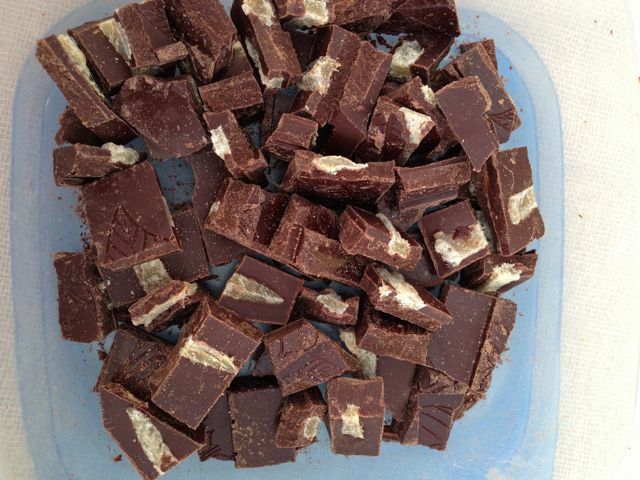 Product #3: Hummingbird Chocolate. I have been reading tweets about this company from @AMWATERS and was eager to say drop by and find out more about their chocolate. While chatting with one of the partners, I discovered that they got into this business as a result of their work in Haiti. I had a sample and it only took one nibble to find out that this chocolate is no ordinary chocolate. 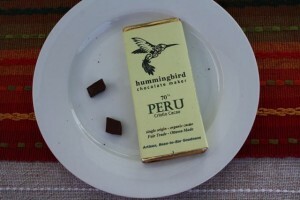 Please take a look at the Hummingbird Chocolate website to learn more about this Artisan, Bean-to-Bar Goodness. 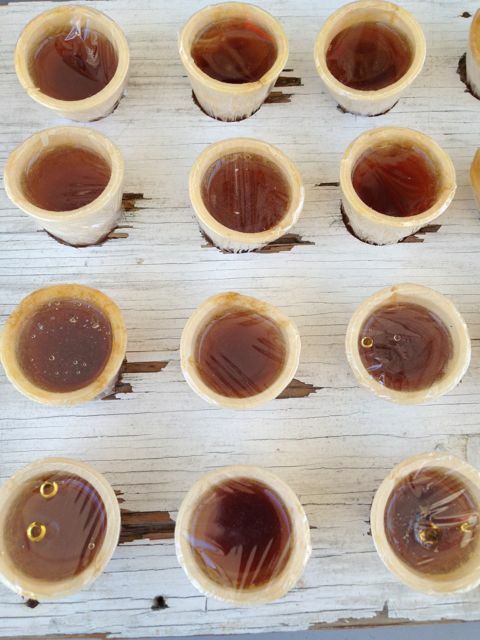 Product #4: Pascales All Natural Icecream. My adventures thru the market got even better when I dropped by Pascales All Natural Ice Cream who said “Hey Girl – I have something special for you”. She was not wrong. Pascale gave me a sample of her HUMMINGBIRD CHOCOLATE SORBET that was too good for words. I truly hope that both Hummingbird Chocolate and Pascales All Natural Ice creaml find distribution in Toronto one day!! 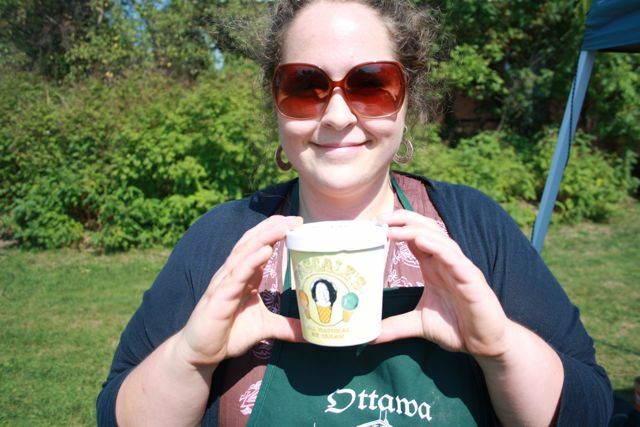 Pascale with her awesome ice cream!! 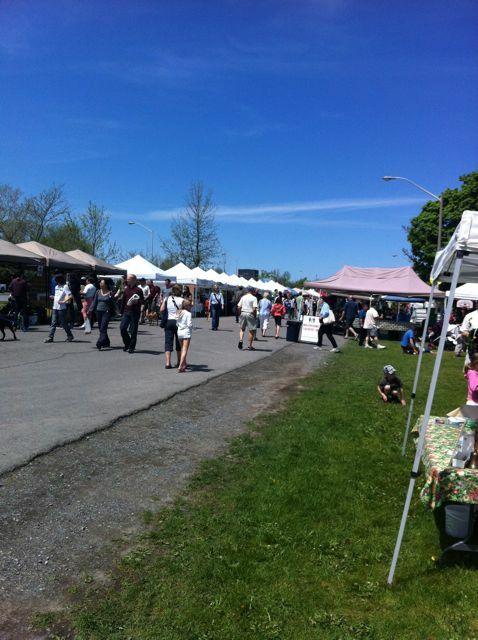 As always, I had a great time visiting the Ottawa Farmer’s Market and discovering new products. Have you discovered anything interesting at a Farmers Market lately? Do share. 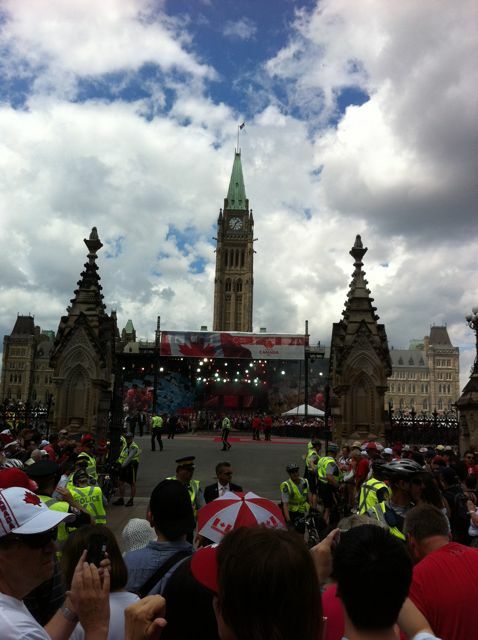 Ottawa = Canada Day. 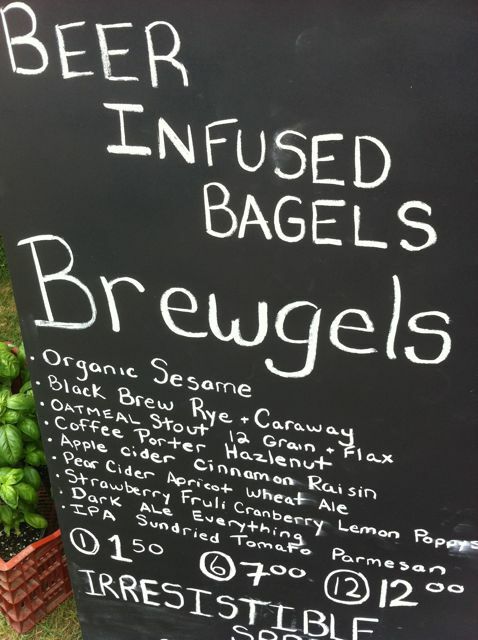 Plus New Food Discoveries!! Just returned from a whirlwind trip to Ottawa. Nothing quite beats spending Canada Day in Ottawa. Naturally I started off celebrating Canada Day at the Ottawa Farmers Market. 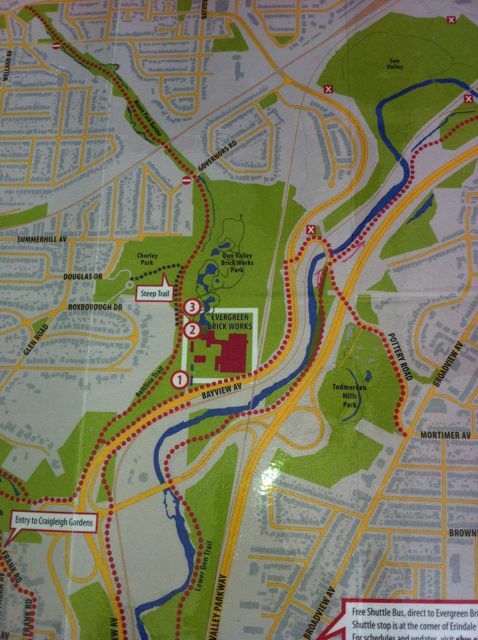 (now located at Brewer Park and not at Landsdowne Park). The trip to the market was highlighted by the fact that I saw Toronto Foodies: @AS_Toronto and A Food Gypsy there! We all seemed to bump into each other infront of Michaels Dolces Booth. 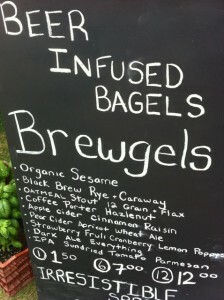 After hugs, photos and introductions I had the chance to wander thru the market to discover Brewgels. What a awesome concept (in my humble opinion). I ended up my visit to the market by bumping into FoodiePrints. How perfect. Notice the dark color of these bagels..due to the infusion of porter, stouts and more!! 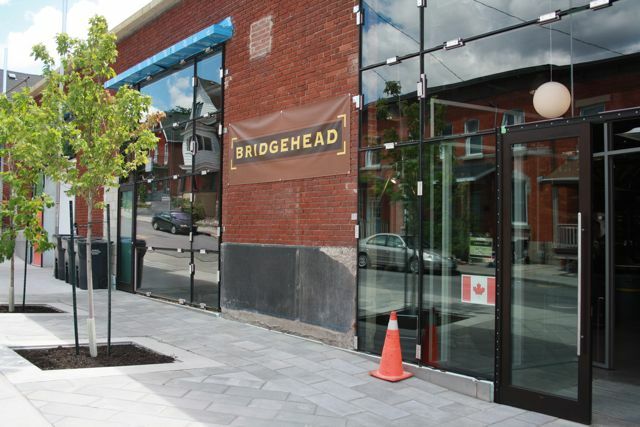 On our way back downtown, we stopped into Bridgeheads’ new Roastery, which just opened this past week. (thanks Twitter for the update!!). I am so glad that we stopped here to see this 15,000 sqf space that now houses their head office, a coffee shop, and training centre. 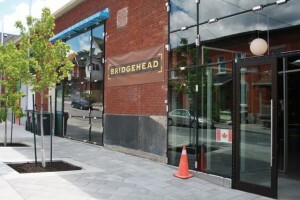 Congratulations Bridgehead!! What a great space for a tweet up!! After enjoying our coffee it was time to walk by the Parliament buildings. No shortage of proud Canadians. Downtown was mobbed and it was GREAT to be there. Then we went to the Byward Market to walk around and watch the soccer game at Smoque Shack. (129 York St). The air condioning, great staff, amazing deep fried pickles and the beer – made it a welcome stop for us to get out of the sun and rest our feet for a bit. On the stroll back to my parents condo we stumbled across this vendor on Sparks St. I just HAD to try it. I have never seen this “new way” of serving potatoes before, have you? due to the carb free diet – I only had ONE potato slice. I swear. At 10 p.m, we stood behind the Supreme Court building to watch the spectacular fireworks. Not a bad way to end a great day!! Hope you had a meaningful Canada Day as well. PS. 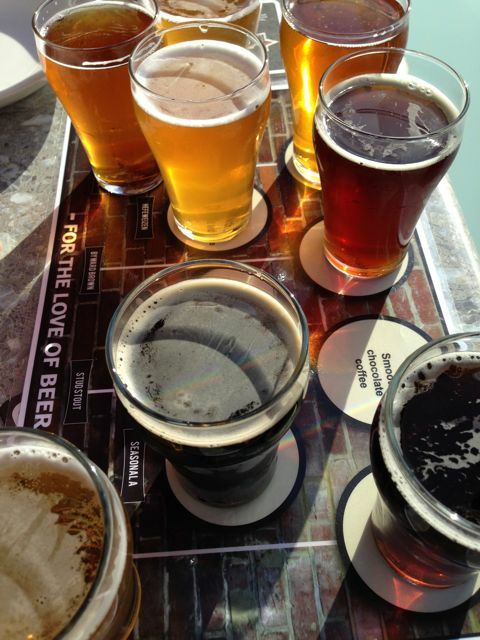 One more thing: I really meant to try two new restaurants: Brothers Beer Bistro (366 Dalhousie) and Big Rig BrewPub (2750A Iris St). Sadly didn’t have enough time, but these two restaurants will be on my radar for my next visit. Tweet Up anyone? Last week, I biked from Bathurst/Eglinton to Evergreen Brick Works Farmers Market. It was a super easy route, and 99 % of the time I was on the beltline and not on a major street. I was kicking myself that I have never done this before!! It was my first time visiting the Farmers’ Market since the Fall and was eager to buy vegetables, but I didn’t!! I bought only one item that day and that item was a cinnamon bun for $3 that was absolutely heavenly! I nibbled on it the ENTIRE DAY – that’s how good it was. (I wish I knew the vendor but I was clearly intoxicated from the smell and forgot to ask for a business card). This was what was left at the end of the day. 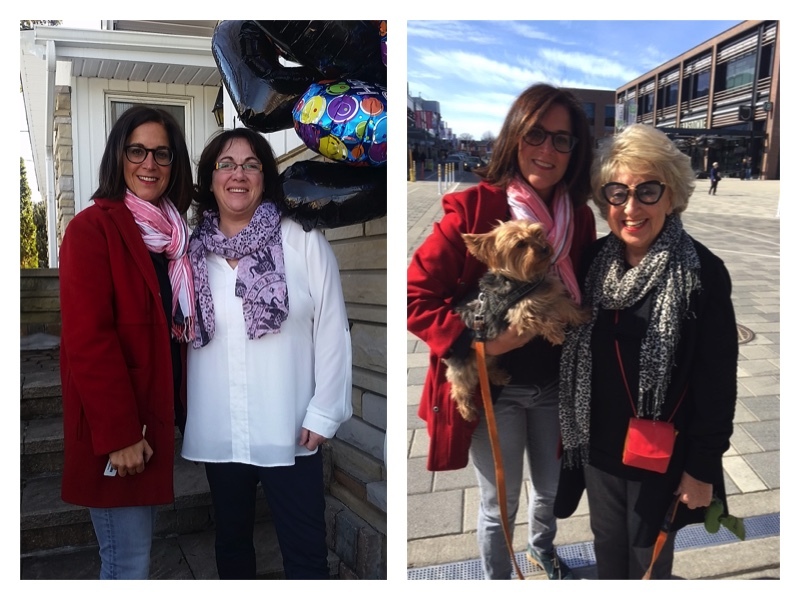 The next day, I went to Ottawa to surprise my mom for Mother’s day. 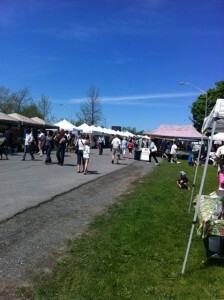 The sun was shining, so off we went to the Ottawa Farmers Market in their new home at Brewer park. We loved the lay out and every vendor that I spoke to was thrilled with the new location. 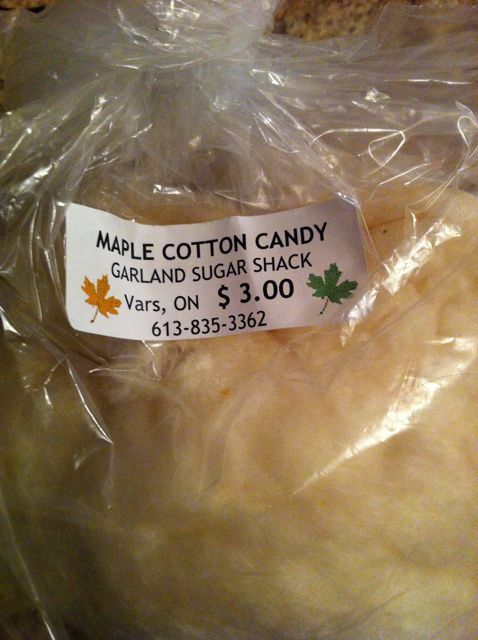 Once again, I had every intention to buy vegetables but ended up buying maple cotton candy. I felt like I won the lottery as I scored the last two bags. 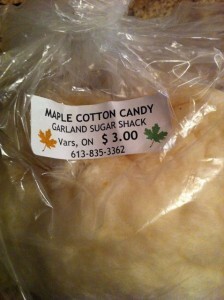 Does anyone make this in Toronto? What is wrong with me? Why didn’t I buy anything healthy? I honestly don’t have a sweet tooth but for some reason…did not buy one single vegetable at either farmers market. I’m not really concerned as I know that I will be visiting plenty of farmers markets over the summer and fall! !